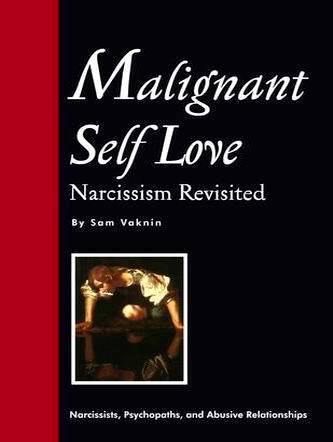 They say, with a knowing smile: "If he is really a narcissist - how come he writes such beautiful poetry?" "Words are the sounds of emotions" - they add - "and he claims to have none". They are smug and comfortable in their well classified world, my doubters. But I use words as others use algebraic signs: with meticulousness, with caution, with the precision of the artisan. I sculpt in words. I stop. I tilt my head. I listen to the echoes. The tables of emotional resonance. The fine tuned reverberations of pain and love and fear. Air waves and photonic ricochets answered by chemicals secreted in my listeners and my readers. I know beauty. I have always known it in the biblical sense, it was my passionate mistress. We made love. We procreated the cold children of my texts. I measured its aesthetics admiringly. But this is the mathematics of grammar. It was merely the undulating geometry of syntax. Devoid of all emotions, I watch your reactions with the sated amusement of a Roman nobleman. "My world is painted in shadows of fear and sadness. Perhaps they are related - I fear the sadness. To avoid the overweening, sepia melancholy that lurks in the dark corners of my being, I deny my own emotions. I do so thoroughly, with the single-mindedness of a survivor. I persevere through dehumanization. I automate my processes. Gradually, parts of my flesh turn into metal and I stand there, exposed to sheering winds, as grandiose as my disorder. I write poetry not because I need to. I write poetry to gain attention, to secure adulation, to fasten on to the reflection in the eyes of others that passes for my Ego. My words are fireworks, formulas of resonance, the periodic table of healing and abuse. These are dark poems. A wasted landscape of pain ossified, of scarred remnants of emotions. There is no horror in abuse. The terror is in the endurance, in the dreamlike detachment from one's own existence that follows. People around me feel my surrealism. They back away, alienated, discomfited by the limpid placenta of my virtual reality. Now I am left alone and I write umbilical poems as others would converse. Before and after prison, I have written reference books and essays. My first book of short fiction was critically acclaimed and commercially successful. I tried my hand at poetry before, in Hebrew, but failed. Tis strange. They say that poetry is the daughter of emotion. Not in my case. I never felt except in prison - and yet there, I wrote in prose. The poetry I authored as one does math. It was the syllabic music that attracted me, the power to compose with words. I wasn't looking to express any profound truth or to convey a thing about myself. I wanted to recreate the magic of the broken metric. I still recite aloud a poem until it SOUNDS right. I write upright - the legacy of prison. I stand and type on a laptop perched atop a cardboard box. It is ascetic and, to me, so is poetry. A purity. An abstraction. A string of symbols open to exegesis. It is the most sublime intellectual pursuit in a world that narrowed down and has become only my intellect." “But for a few of your poems that betray an innocence you know was lost (mind you I say know, rather than simply, was) there is a dark and haunting quality that pervades your poetry. Beauty, in all its carnal and cerebral manifestations, and beautiful vulgarity, converge. The words are woven masterfully, as the tapestry at Bayeux. Your poems speak to the ideals to which we of noble or ignoble intention, all aspire. They speak to the corporeal baseness and longings we all harbor deep in the cellars of our hearts -- because at the end of the day, we are, Animal. We may strive for the celestial, the G-dlike in us, but the primitive gives way in us each and all. It is what we are -- whatever our unique pathologies or idiosyncrasies. Part Divine. Part Beast. Some of more the former. Some of us more the latter. In this, many of your poems give the impression that you are exposing to the reader your inner sanctum; raw emotion -- down to your flesh and bone. But, therein lies the rub: it is the impression you wish to convey. Not the true self. You harness this truth and distill its essence as vapor. The vapor is inhaled, consumed. You know it is there, but cannot see it. You transmit it as light. But light, refracted. It can be seen in all its prisms, but its origins and end-point cannot be discerned. It eludes any tangible grasp. You judiciously select your words and delegate to each of them, a task: please, carefully selected word, tell the reader what I want him or her to believe of me. Speak from the me that I would be, if I could be. Speak as though I'm without inhibition to expose fallibility. Speak low, speak softly, speak angrily -- speak in the way I would do, if I could do so extemporaneously, messily, from the heart. Speak this way, you do, then stop just short of letting the floodgates open.